About Treatments - Erin Smith, M.Ac., L.Ac. Is Acupuncture Safe? Are There Any Side Effects? Acupuncture is an extremely safe method for promoting healing. Acupuncture needles are individually wrapped and sterilized and are disposed of as bio-hazard waste after being removed from the body. There is little to no risk of infection with the use of the sterile needles. The most common results of acupuncture treatments include a decrease in pain, lower stress, better digestion, better sleep, increased energy and increased mental clarity. Some patients experience minor bruising or a temporary increase in soreness around the site of the acupuncture needles, but this is not very common. Other risks of receiving acupuncture, although VERY RARE, include muscle spasms, dizziness, fainting, nausea, nerve damage, punctured lung, and injury to internal organs. It is important to eat within a few hours of receiving a treatment to reduce the risk of several of these adverse effects. It is also essential not to make any big movements or reach for a ringing cell phone while you have needles in you to avoid the risk of puncturing an organ or causing other damage to your body. If you need any assistance, page or call out for someone to help you. There are many conditions that can be treated with acupuncture and Chinese medicine. The most common condition that patients seek out an acupuncturist for is pain relief, both acute and chronic. This is due to that fact that many insurance companies will only cover acupuncture for pain, acupuncture is very effective for pain relief and regaining lost function, and many people still suffer from pain despite numerous surgeries, medications, and failed attempts at relief from other modalities. 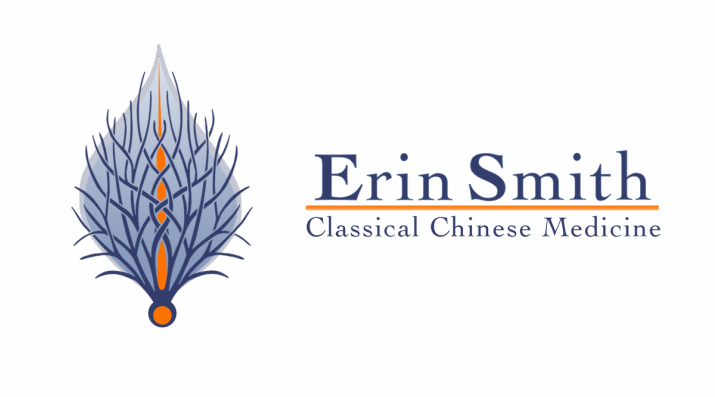 If you have questions about a specific condition and whether or not acupuncture and Chinese medicine may be beneficial to you, feel free to contact Erin with any questions or a free phone consultation. Many insurance plans have at least partial coverage for acupuncture treatments, mostly for pain conditions. Many insurance companies also have the alternative medicine plan that you can get in addition to your basic coverage. As of 2014, any insurance company that wants to sell insurance in the state of Maryland must cover acupuncture for pain. This is very good news for all patients looking for a more safe, natural, and effective treatment for pain conditions. If you would like to learn more about your insurance benefits for acupuncture, you can call your insurance company directly, or you can call Erin at (410) 490-3346, and she will be more then happy to look into that for you. How long does an average treatment last? What can I expect at a treatment? An initial appointment will last anywhere from an hour and a half to two hours, depending on the nature of your condition and history. During the initial consultation, practitioners do a thorough health history of your chief complaint, as well as other medical conditions or symptoms you may be having. They will also use diagnostic methods, such as feeling the radial pulse on both sides, observing the tongue, palpating the abdomen and acupuncture channels, and any other physical examination that may be required for your condition. After the intake and exam, the practitioner will then perform an acupuncture treatment, and/or any other modalities that may be most appropriate for your condition. Once the needles are in, you will be left to rest with the needles in for, on average, about 20 to 30 minutes. While you are resting, you will be encouraged to relax, take deep breaths, and notice any new sensations you may be feeling in your body and mind. It is advised not to make any sudden movements, as you can cause pain where the needles are or worse. If you become uncomfortable at any time during the treatment, ring the call button provided by your practitioner, or call out for help. At the conclusion of a treatment, the practitioner will remove the needles, answer any questions you may have, and talk about follow up of care. Then you're done! Follow up visits are considerably shorter then initial consultations. They will consist of a brief visit talking about how you have been and any changes in symptoms or new symptoms to date, then you will get on the table and the practitioner will feel your pulse, look at you tongue, palpate relevant areas and channels, and get started on the treatment. The follow up visits on average last for about 45 minutes to an hour. Does acupuncture hurt? How big are the needles? It would not be accurate to say that acupuncture is "pain" free, and it would be misleading to say that everyone experiences no pain or does not feel the needles at all during an acupuncture treatment. For a patient who does not have an extreme fear of needles and does not have an unusually low tolerance of pain, the experience of acupuncture is usually very tolerable. It is normal to feel a quick poke when the needle first enters the skin, but any sharp sensation does not typically last more then a second or two, once the needle is past the superficial layers of skin. Other sensations, which are usually new to the body, may also be felt if the practitioner advances the needle past the skin and into the acupuncture point. These sensations, not really pain, but new sensations, are a sign that the acupuncture needle is coming into contact with the qi, or life force energy, of the body. This is a very positive response for a treatment, since the goal of acupuncture is to stimulate the qi and blood and to unblock the meridians and vessels to rebalance the body, restore its innate healing ability, and to allow the stagnant or diseased energy (xie qi) to exit the body through the acupuncture points. Sensations you may feel include a dull achiness, heaviness or pressure, warmth, tingling, a shooting sensation up or down from the point, and possibly others depending on the condition and patient. The best advice to take while you are being needled, is to just take deep breaths and experience these new and unique sensations that are a sign of healing to come in your body. Communicate with your practitioner as well, if something is too uncomfortable, remains sharp or if you are feeling very sensitive, your practitioner can always adjust the style and technique if necessary. But don't be alarmed by new sensations you may feel, they are most often good for the treatment! There are many different styles of acupuncture, and the size of the acupuncture needles vary with the different styles and techniques. On average the gauge of the acupuncture needles range from 42 to 28 gauge, and will be selected based on the style or technique being used, the sensitivity of the patient, and the condition being treated. How frequently do I need to come to benefit from the treatments? The frequency of treatment will vary slightly depending on your condition, health history, and other lifestyle factors. In general, it is recommended to come twice a week for the first 4-6 weeks, and then the frequency of treatments will decrease from there depending on your progress and state of health when you first start. Coming more frequently in the beginning helps to stimulate the healing process and you are more likely to notice results and changes in your life sooner then if you are to come less frequently. If your schedule and/or finances only allow one visit per week then expect to have a longer course of treatment and the results may be a bit slower and less dramatic, but still beneficial overall in most cases. If you are taking Chinese herbs at home on top of receiving acupuncture treatments, and make the lifestyle modifications suggested by your practitioner, you are also more likely to experience the maximum benefits of Chinese medicine and healing your body. Even if you are not experiencing any acute or chronic symptoms, acupuncture and Chinese medicine will still be of benefit to your health. Chinese medicine was originally used as a method of disease prevention and health maintenance. Chinese medicine practitioners can detect imbalances in your system based off of your pulse, tongue, and abdominal diagnosis, which may not be contributing to any physical symptoms yet, but may cause symptoms in the future if the imbalance is not corrected. Having regular "tune up" acupuncture treatments, around the change of each season, is a great way to help prevent your body from getting sick, and can help keep your physical, mental, and emotional bodies in its most balanced and vital state. Many people claim that acupuncture "does not work for them". When inquiring how many treatments they received the answer is usually "1 or 2 times". In all reality, most conditions people suffer from have taken years to decades of poor lifestyle habits, chronic pain or injury, and ignoring the warning signs of the body and mind that something is out of balance. In these and most cases, acupuncture will not work overnight. Although Chinese medicine may not be the answer for everyone, depending on your condition, it is important to give it a real try before discounting it, as it can and does help many, many people. Enter into the world of Chinese medicine with an open mind and heart, and follow the advice and recommendations of your practitioner as best as you are able to, and you will most likely be pleasantly surprised at the benefits this medicine will bring to many aspects of your life. Why and how should I take Chinese herbs? For many conditions, taking Chinese herbs helps to compliment acupuncture treatments in the healing process. Herbal formulas are helpful with as many conditions as acupuncture, and it is something that you will take multiple times a day, and not just once or twice a week, as you would receive acupuncture. Chinese herbs are comprised of flavors (salty, sour, bitter, pungent, and sweet) and thermal natures (hot, warm, neutral, cool, and cold), which are combined into balanced and therapeutic formulas containing approximately 3-15 herbs. Herbs are precisely combined based on your unique disease presentation, and when taken on a regular basis, will help to restore balance to your body, relieve symptoms, and treat the root of your disease. Depending on what condition(s) are being treated, you can expect to take Chinese herbs from 2-6 months on average, and then on an as needed basis, or seasonal basis. There are several forms of Chinese herbs you can take. The most convenient is pill form, which from most companies, is the most processed form of Chinese herbs. A step up from pills is granules, which is a processed and powered form of the raw herbs that are taken by mixing the prescribed amount with hot water and drinking it. The best way to take Chinese herbs is to cook the raw, dried herbs yourself, which involves soaking, cooking, and straining the herbs into a tea like decoction. Making the raw herbs can be a little more labor intensive, but you can prepare several days worth at a time, so you would not have to do this every day. If you're not ready to try cooking your own formulas (which is always fun for me! ), the more convenient, but still effective, way to take the herbs is in the granular form, which Erin can prescribe for you and have sent directly to your home.